Exploring your data neighbourhood by neighbourhood. Neighbourhoods have unique characteristics that provide important context for interpreting MDI results. Understanding neighbourhood-level differences within a school district or community is essential when considering actions to support children’s well-being. 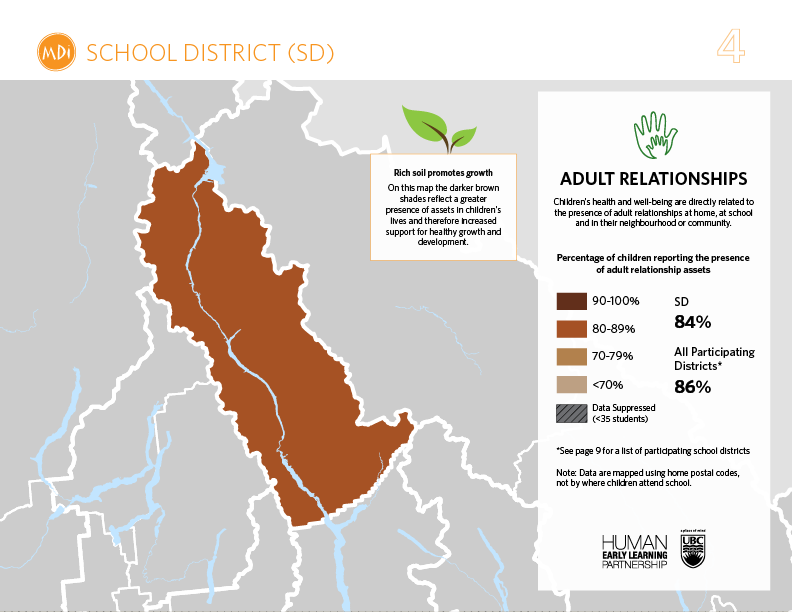 MDI School District & Community Reports include several maps to help you explore how well-being varies according to geography. 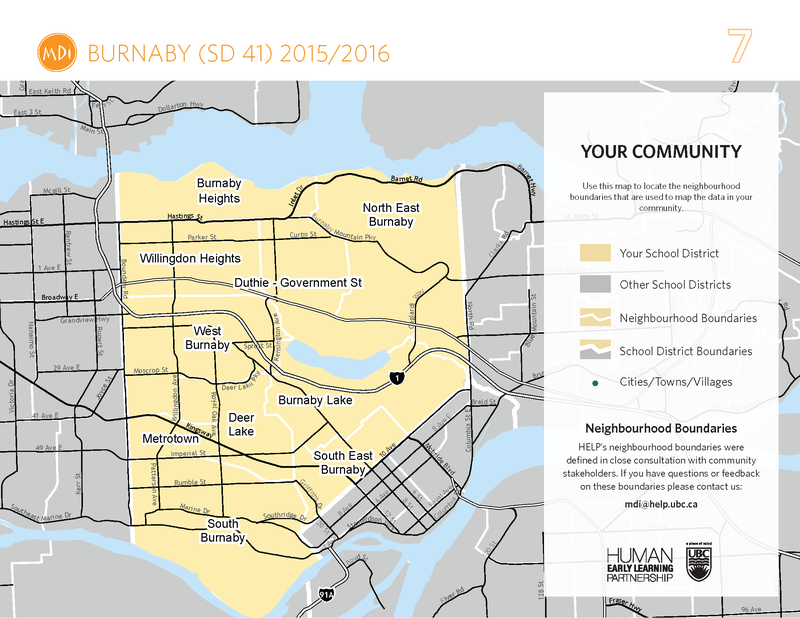 Your Community Map details district and neighbourhood boundaries. MDI neighbourhood boundaries have typically been drawn to align with municipal planning areas and to coincide with census and taxfiler data. In most cases, boundaries are also set to neighbourhoods with a minimum number of 50 children, which reduces the number of neighbourhoods where data are suppressed due to low numbers, and helps to ensure the accuracy and precision of MDI data. 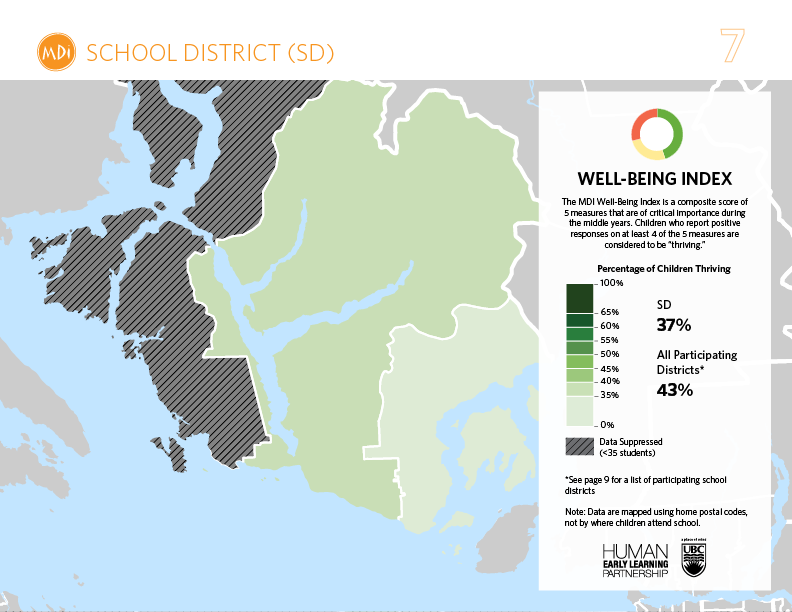 The Well-Being Index map represents the percentage of children in each neighbourhood across the district who are Thriving – reporting high scores on at least 4 of the 5 measures of well-being. The darker the colour, the greater percentage of students in the neighbourhood considered Thriving. Sleep, and After-School Activities. Similarly, the darker the color, the greater the percentage of students reporting the presence of a given asset.